Personal injury law allows accident victims to obtain compensation when another party intentionally or negligently causes an accident that results in their injuries. The following will outline some of the most common personal injury examples as well as why you should obtain the assistance of an experienced personal injury to pursue compensation in these matters. Car accidents represent the largest group of personal injury accidents in the country. When accidents occur, it is often because a person is not following posted rules or driving with an adequate degree of caution. Medical malpractice claims stem from situations in which a medical professional fails to provide care that conforms to the standard of medical care in the community. Medical malpractice victims can endure life-changing injuries or even be killed. Slip and fall cases occur when a person falls and is injured on property belonging to another person or business. Property owners in New Jersey have a duty to keep their premises reasonably safe from hazards so that individuals who visit the property are not injured. In many cases, dog owners are financially responsible for injuries that occur when dogs attack or bite others. These accidents have the potential to be particularly serious and tend to impact vulnerable populations like young children and senior citizens. Unlike many other types of personal injury claims, intentional torts occur when one person intentionally harms another. Common types of intentional torts include assault and the intentional infliction of emotional distress. There are a number of reasons why you should obtain the assistance of an experienced personal injury attorney if you are harmed in an accident. Personal injury attorneys have a great deal of experience helping accident victims pursue compensation for their injuries. They can help you anticipate and navigate the obstacles that may arise during the process. 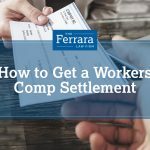 Many personal injury attorneys work on a contingent-fee basis, which means that if the lawyer is not successful in obtaining compensation for you, then you do not owe anything. Personal injury attorneys have a team of skilled investigators who are able to piece together evidence to determine exactly how an accident occurred. While many accident victims are left feeling angry and confused after accidents occur, an experienced lawyer can remain objective and fight for the best possible results in your case. Personal injury lawyers are skilled at negotiating with insurance companies, which often treat accident victims unfairly. By obtaining the help of a personal injury attorney, you can make certain that you receive the maximum amount of compensation available. These are just a small sample of personal injury examples. It is critical to obtain the assistance of a personal injury attorney if you are harmed in an accident. 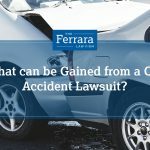 If you have been injured by the carelessness of another individual, you should not hesitate to contact Ferrara Law to schedule an initial free consultation. What are My Options After a Seat Belt Injury?